It followed research showing that the time-pressured, modern consumer, with a short attention span, increasingly seeks instant gratification. Many confessed to juniper cravings on-the-go, whether at their desk, out shopping, at the cinema or during school plays. 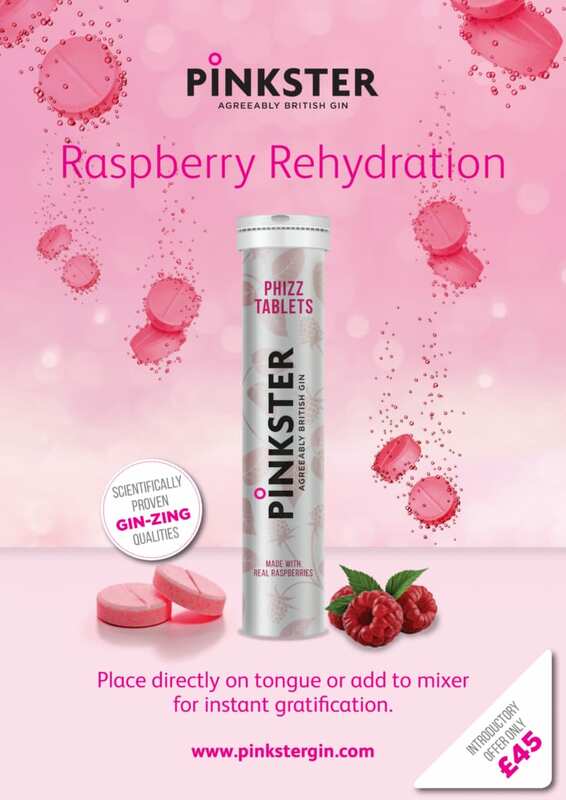 Condensing the delicate flavour of Pinkster with its raspberry notes into an effervescent tablet format was extremely challenging but our team of boffins, working with local research units at Cambridge University, eventually cracked it. With limited availability, the pocket sized, Pinkster Phizz retails at £45 for a tube of 15.